For the first time in Oriflame and an evolution in make-up – CC Cream – make-up and face care all in one, in the most exclusive range of Oriflame. 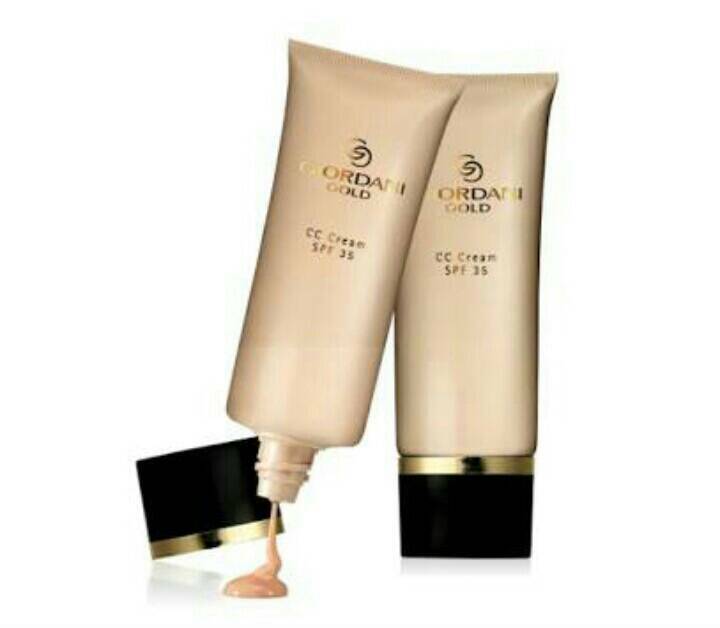 CC Cream with SPF 35 Giordani Gold goes beyond the original concept of BB Cream , translating into a brooder cream with more color, light texture and a long-lasting formula. It gives the skin a greater luminosity, the pores appear more refined and a radiant complexion, from the first use. Its formula contains the Patented Anti-Age Brightening Technology that helps reveal a younger looking and more radiant skin over time as you go about using the product. As we get older, the damage caused by exposure to the sun accumulates, leading to the appearance of expression lines, irregular and dull skin and, lastly, the premature aging of the skin. Oriflame CC Cream contains SPF 35 with UVA / UVB filters for superb protection against these aging signs. This product will be your protective weapon to hide the telltale signs of aging and immediately. Western Dock Extract (Rumex occidentalis) – Reduces the appearance of age spots and minimizes the formation of unwanted pigmentation by limiting melanin production. Dioic Acid – Promotes lighter and brighter skin. It makes the skin more transparent and luminous. The technology used in this product is the result of years of careful research carried out by the scientists at the Oriflame Research and Development Center. Research has shown that two very special ingredients work extremely well together to reduce the melanin content of the skin. Melanin is responsible for the color of your skin, and also plays an important role in the appearance of age spots, uneven skin tone and unwanted pigmentation. The combined action of these two ingredients helps to lessen some of the unwanted effects of aging and sun exposure. 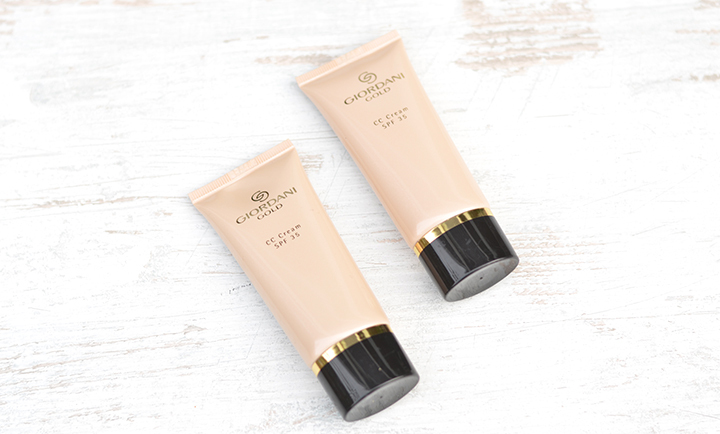 This patented technology is exclusive to Oriflame and is present for the first time in a make-up product – CC Cream with SPF 35 Giordani Gold! With SPF 35 and UVA and UVB filters. Application – can be used individually instead of Color Base and Day Cream. For drier skin, it should be applied after a moisturizing cream. Make-up / face-care solution all in one, with a light texture and medium to long-lasting coverage. With the patented Whitening and Anti-aging Technology to improve skin tone and luminosity. SPF 35. UVA / UVB filters. 40 ml.